Network management is not within the reach of all but the user can do it by using the software named The Dude. It allows following up all the connected devices. 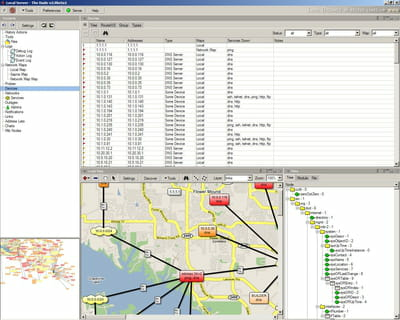 Detection: The program has the ability to detect all the devices connected to a network. It displays them on the main window in tree form and differentiates them with icons. Their information is available with a single mouse click. Monitoring: The Dude can rapidly detect the failure at the network level. It signals the user by indicating the source of failure and the concerned area. It notifies him via pop-up window or a beep to present the network status. Settings: The user can define the starting option of the network. He has even the possibility to edit the IP address of each station and the failure alert type. Programming the range of network access times is also possible. The download of The Dude is completely free of charge. It supports remote Dude server and local client. Latest update on August 21, 2015 at 08:46 AM.